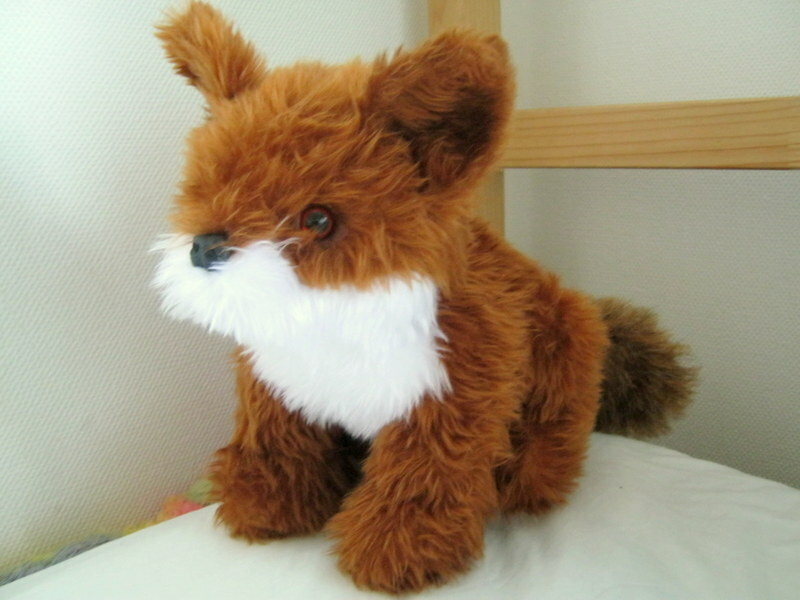 Over the last few months I have been making a few little furry friends for Little Man. When I was a child I used to love getting ‘Minicraft toys to sew’ Kits (ebay them, they are still there!). When I had little man, I couldn’t resist the joy of making him some. Here are the two that I’ve made most recently. 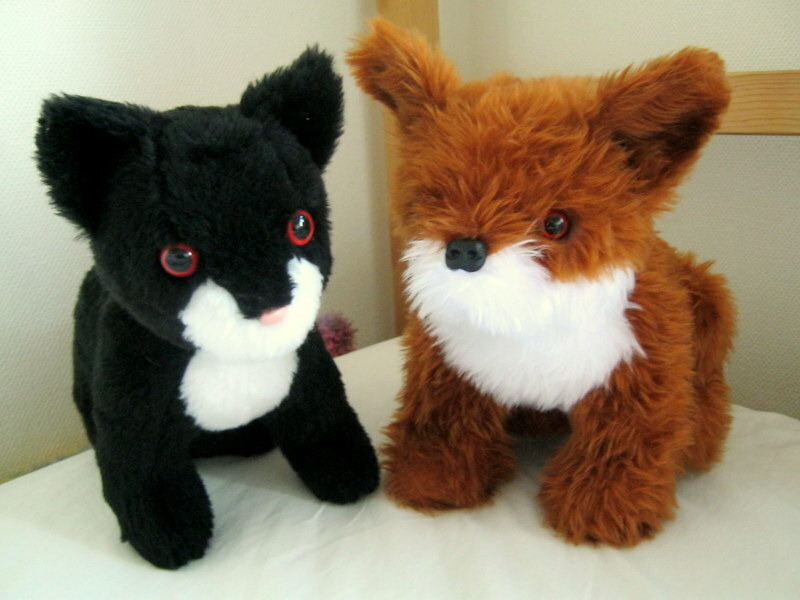 This is Mr Fox and Mr Cat. 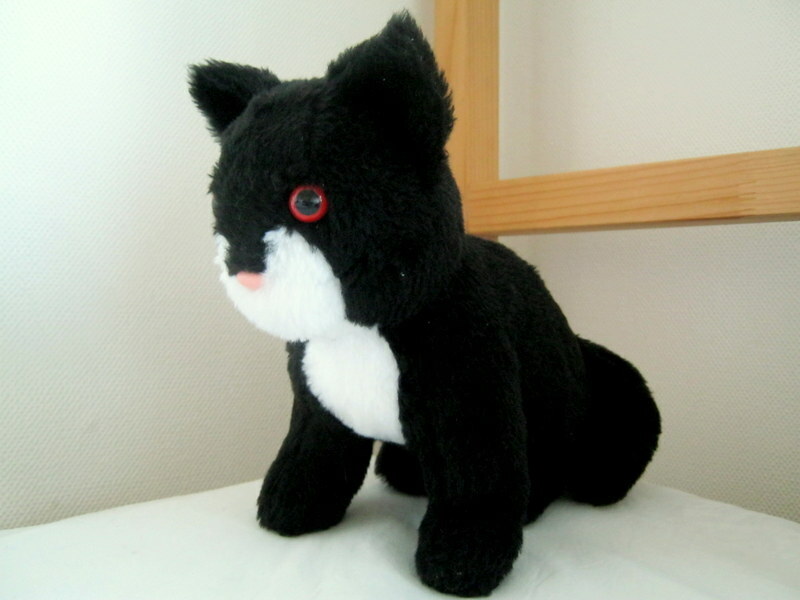 Despite Mr Cat looking a lot like Jess from Postman Pat apparently he isn’t (‘no Mummy he is not Jess he’s Mr Cat’). Mr Fox spends a lot of time sitting at the bottom of Little Man’s bed ‘looking after’ his books but does get quite a few cuddles. Mr Cat spends a lot of time downstairs playing with the other toys and sometimes comes out on Dog walks with us. I love the size of them. They are toddler chest size (if that makes sense). Basically they look just a little too big for little man but he can still hold and cuddle. Mr Cat from the side. 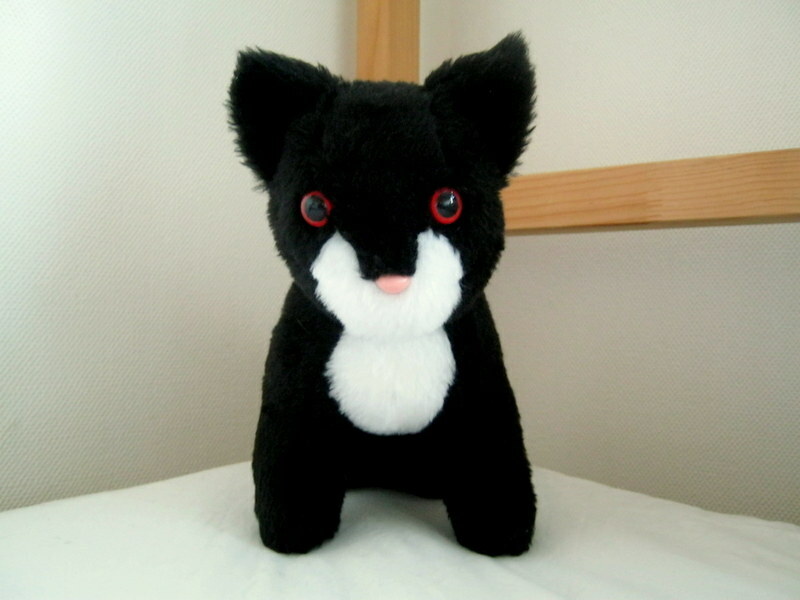 If you have never tried a mini craft soft toy kit, I recommend them. All the pieces are already cut for you and the instructions are really clear and easy to follow. One tip I would give you guys (which was given to me by a very wise lady who has been sewing all her life). It is worth, when working with fur, to smooth the fur away from the seam, put the wrong sides together then over stitch along the edge. Only after doing this, sew along the seam as you normally would. What this should mean is that when you turn the fabric the right way, you won’t be able to see the seam and won’t have to pull fur out of the seams. That’s all for this blog post. 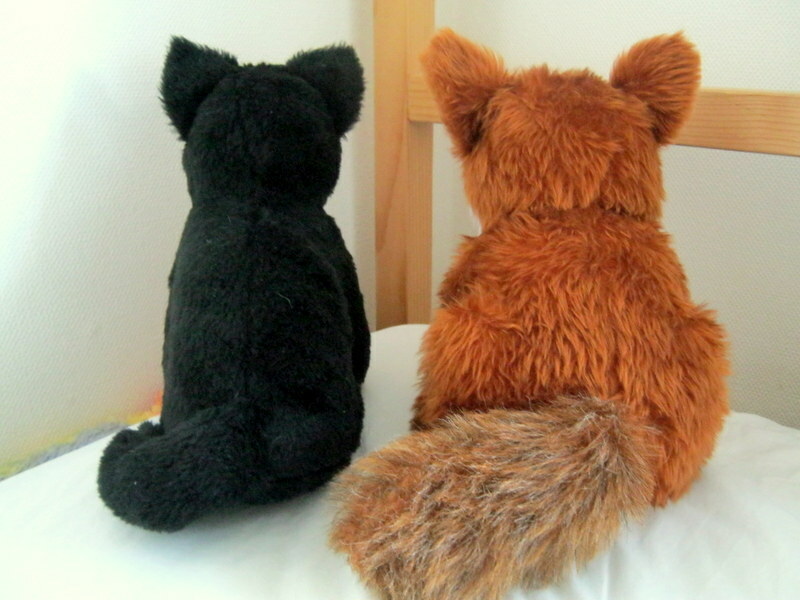 Good bye from Mr Fox and Mr Cat, I hope you enjoyed meeting them. Lol the back of the sofa is such a classic place to find things. I’m glad you’ve found it and your daughter loves it (I’m sure it is great!). I had a look for mine but couldn’t find it. I think I’ll have too look behind the sofa!